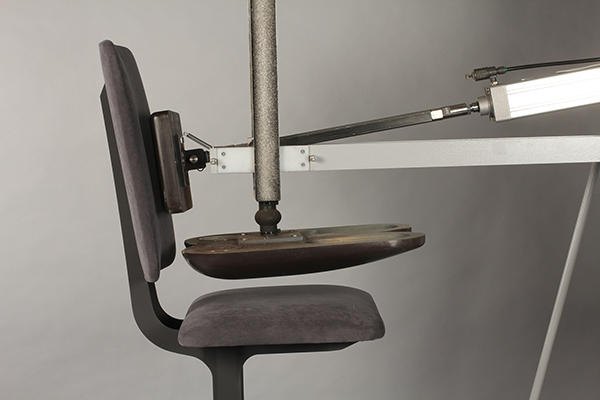 Seating testing data can help improve design and manufacturing techniques and provide evidence of due diligence. Making and selling seating that is safe and fit for the intended purpose is a priority in the highly competitive seating manufacturing market. The need to demonstrate adequate safety and appropriate 'fitness for purpose' has become increasingly important, with many buyers of domestic, contract and office products insisting on seeing evidence of product safety, strength and durability. Where a multitude of designs and styles are available for a variety of applications, the supplier and buyer alike should be aware of producing the right product for the application. Seating suitable for light domestic use will not last long in a busy call centre environment and could even be potentially dangerous to the user if the product does not have the appropriate structural strength and durability. A seating designer should have a clear remit as to the end use of any new product. He or she must be able to decide which materials, construction and dimensions to use in terms of the required strength, durability, stability, ergonomics, function, intended conditions of use, legislation, tactility and aesthetics. The designer must account for ease and cost of manufacture as well as the intended price bracket for the market in which it is to be sold. Seating should be tested using standardised methods that provide vital data about its potential capabilities in a given environment. This data can be used as part of the design process, for improvements to manufacturing techniques and materials and, most importantly, as evidence to show 'due diligence' when placing a new product on the market or verifying the continued fitness for purpose of a current product. There are two distinct types of furniture market and therefore two main testing levels – contract and domestic. 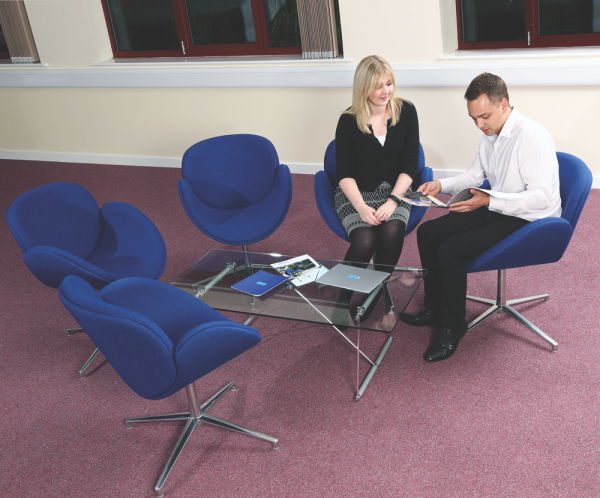 Contract seating in the UK and Europe is almost always subjected to extensive testing, as this is usually a requirement of the purchasers of such furniture. For example, office furniture can be in use for up to 24 hours a day and therefore has to be durable and meet the appropriate stability criteria. The situation is similar for contract furniture used in UK hospitals, hotels and schools, where specific standards are required to meet severe wear and tear. Seating for the domestic market is likely to incur much less sustained stress because most of its use is concentrated at evenings and weekends. However, potential use and abuse by children and the elderly ensures that, although not continuous, stress levels on materials and components can also be high. Therefore, it is still important to be sure of a given type of seating's limitations in these environments. SATRA has a large number of automatic testing machines for seating which operate 24/7. This gives a relatively quick response and short lead times for testing domestic and contract seating. Our test machines have been specially designed by SATRA engineers to meet customer expectations with regard to accuracy and reproducibility. Special control software has also been created to ensure safe, accurate and repeatable operation. Using load cells, computer-controlled force regulators and sensitive limit devices, the machines are capable of applying both static and fatigue loads to an accuracy of ±5 per cent. The machines are calibrated using independent load cells and recording equipment. Where relevant testing is carried out, to current British or European standards, test results are often used by seating manufacturers to help with the promotion of their products. Buyers of seating for retail or contract markets often request testing before they buy, to ensure it is fit for purpose. Please click here for information on SATRA's furniture testing services. Email furniture@satra.com to discuss how SATRA can help your company.